Most of the pendants I make are sized so that the shortest edge measures 1 inch. Know what happens when you bump that up to 1.5 inches? You get a really beautiful, bigger image in a medallion size. 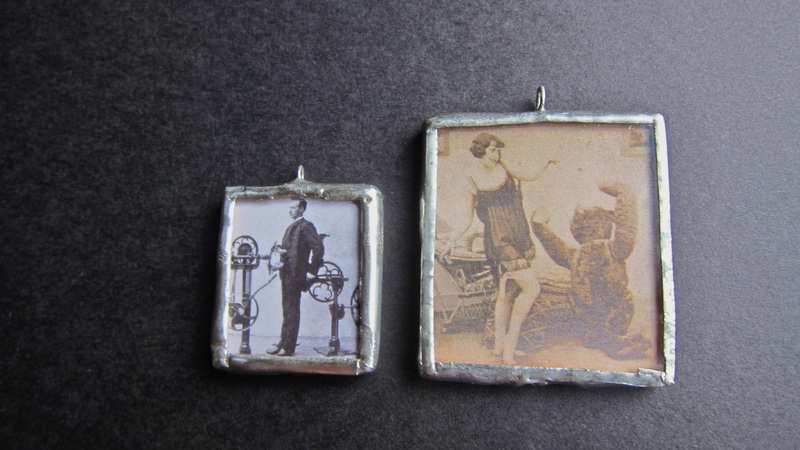 This image shows the difference in size between the normal sized pendants and a medallion sized pendant, and then there's a couple images where the model is sporting a medallion sized pendant. It makes an impact and the image is easier to see from far off. Purchase this as an add-on if you would like the pendant of your choice to come in a larger size. Allow extra time for me to custom make your piece.